New Year’s Eve and New Year’s Day are some of the busiest times in Budapest, Hungary. If you are enjoying your New Year break in Budapest and wonder if Szechenyi Baths and Pool are open in Budapest, we have good news. 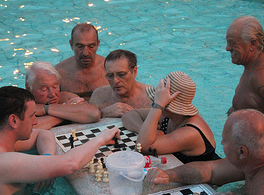 The opening hours will be like the opening times in the last decade in Szechenyi Baths. December 30 opening hours: just one day before Dec 31, every year there is a huge pool party to celebrate the end of the year. 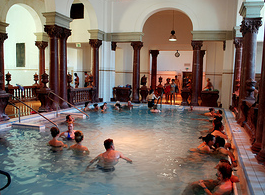 So on Dec 30 the baths will be open as usual, 6 am – 10 pm. Then the baths reopen at 10.30 pm to let in the thousands of party folks who start to say farewell to the old year in a vibrant electronic disco party known as the Cinetrip Winter edition of the Sparty series. 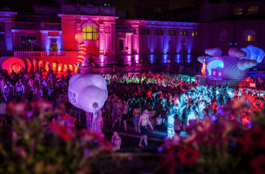 Great DJs, laser shows, performers by the pool, great atmosphere. Party tickets available here. December 31 planned opening hours: Szechenyi Bath is open from 6 am to 6 pm on Dec 31. Check-in for online reservations: 9 am – 5 pm. Book a massage for the last day of the year weeks in advance, as massage treatments will be booked up by days before Dec 31. Soak in the baths, and enjoy some amazing days of your life in Budapest on Dec 31. 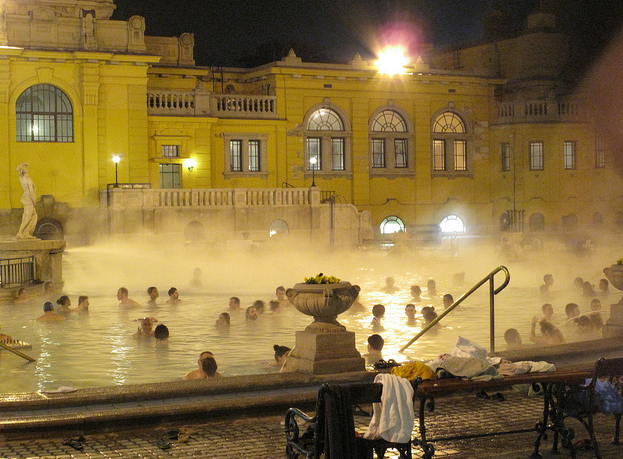 January 1 planned opening hours: Szechenyi Bath is open from 10 am to 10 pm on Jan 1. Check-in for online reservations: 10 am – 6 pm. 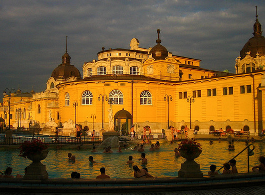 Visiting Szechenyi Bath is a popular way to get over the New Year’s Eve party symptoms, so you may wish to buy your ticket online to get a fast track, hassle-free entry. More about the general Szechenyi Baths opening hours here, and info about Christmas opening times at Szechenyi Baths here. Looking for opening hours for upcoming years? No need to worry, the usual opening times apply generally (but not necessarily), so based on the policy of past years, you can plan your visit to Szechenyi Baths and schedule it for Dec 31 and Jan 1. 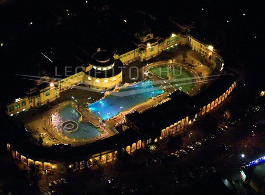 The Management of Szechenyi Baths publishes its decision in due time, by the beginning of December each year. We are family of 3. my son is just 2 year and one month and we were planning to come for new year to Budapest. The only reason we will come is to visit your baths. As I can see children below 3 years are not allowed to come inside the pool but are they allowed to come for 30th Nye? Totally outside the pool. If yes then is there any ticket charges for him? & what type of tickets are we supposed to take for two of us? Kindly reply at the earliest as I would like to book today itself. Is this open for January 13th? yes, Szechenyi Spa Baths is open even in winter.